Timeless, invaluable and profound – Our Legacy Collection is more than just an accumulation of jewelry. These are meaningful pieces that evoke deep sentiments and can play a big part in your generational history. An ideal legacy collection calls for pieces that are classic and ever-lasting – Something that never goes out of style! 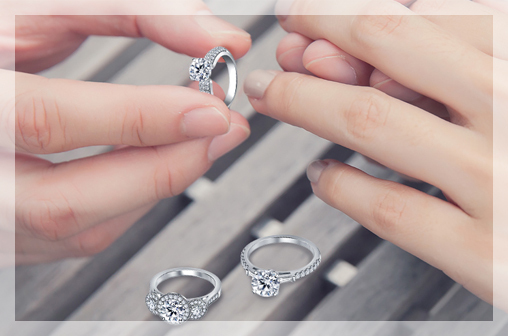 And that is why diamonds make for the perfect addition to a thoughtfully curated collection. 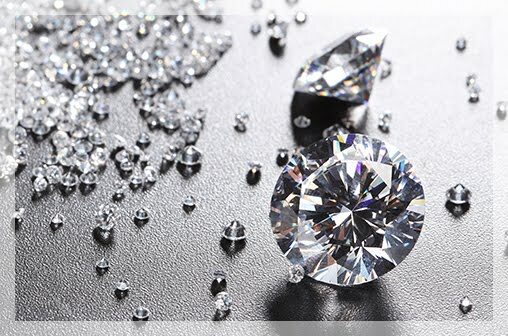 Diamonds are ageless, versatile and a perfect balance of elegant and eye-catching. 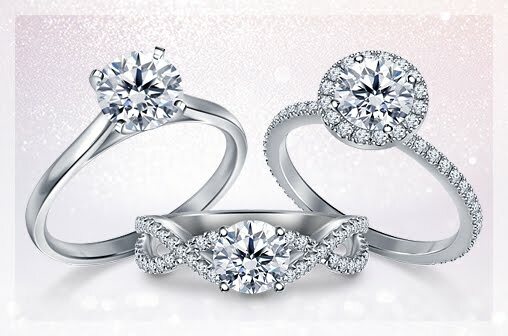 Here is an assortment of vintage inspired diamond rings that make for the perfect legacy statement pieces to live on for generations. This vintage style ring is an unforgettable one. The intertwining pave lines and the grand cathedral setting are little details that bring out the uniqueness of this piece. 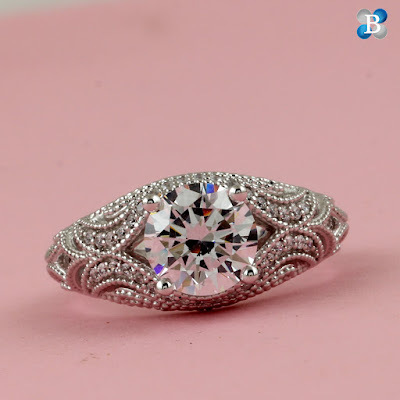 Set in 14K white gold and embellished with a diamond halo around the center stone, this antique-y ring will always maintain harmony with the changing styles of the years to come. This undeniably striking diamond ring is exactly what legacy jewelry-dreams are made of. The cathedral design enhanced by the delicate miligrain edges is the secret to the ring’s royal elegance. The most magnificent part of this piece is the classic cushion cut center that brings it all together into the perfect addition to a legacy collection. 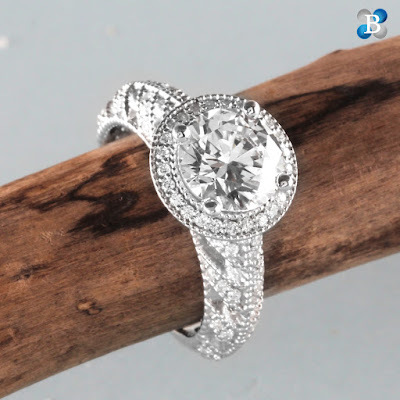 If you are looking for a jaw-dropping engagement ring that stands out in a crowd, this is it. 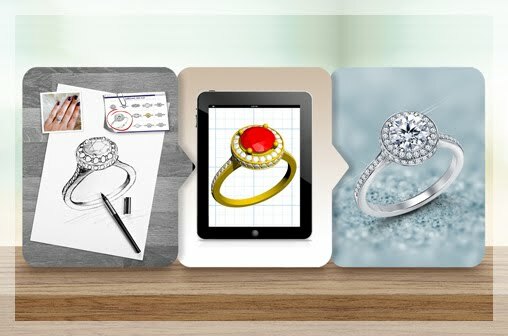 This diamond ring is an heirloom in the making that one can proudly pass down. 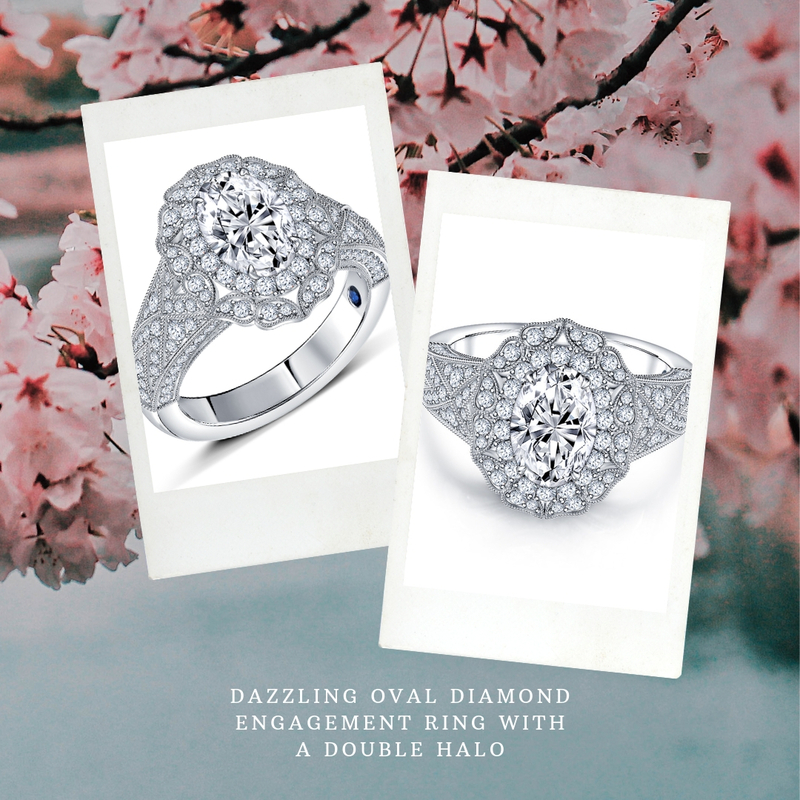 The brilliant round diamond center is exceptionally made better by the art deco-inspired double halo that surrounds it. The chevron shaped pave-set diamonds across the shank makes this ring the sparkliest ring of all time! This ornate engagement ring has a dazzling round diamond center perfectly balanced by the intricate miligrain-accented swirly shank. 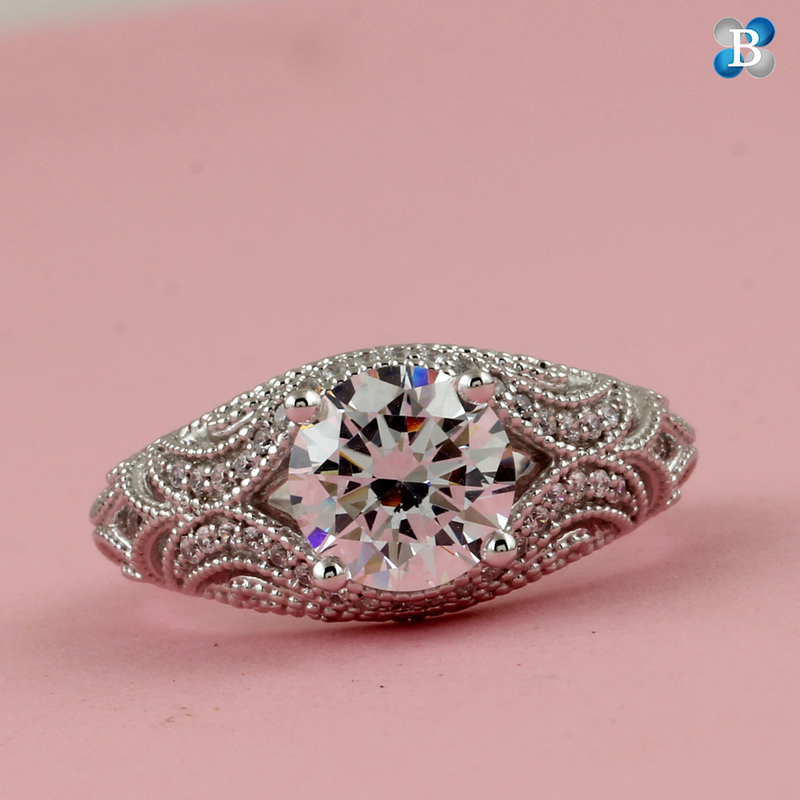 A poignant remembrance of a time gone by – This intricate 14K white gold ring makes for quite a memorable piece of jewelry. 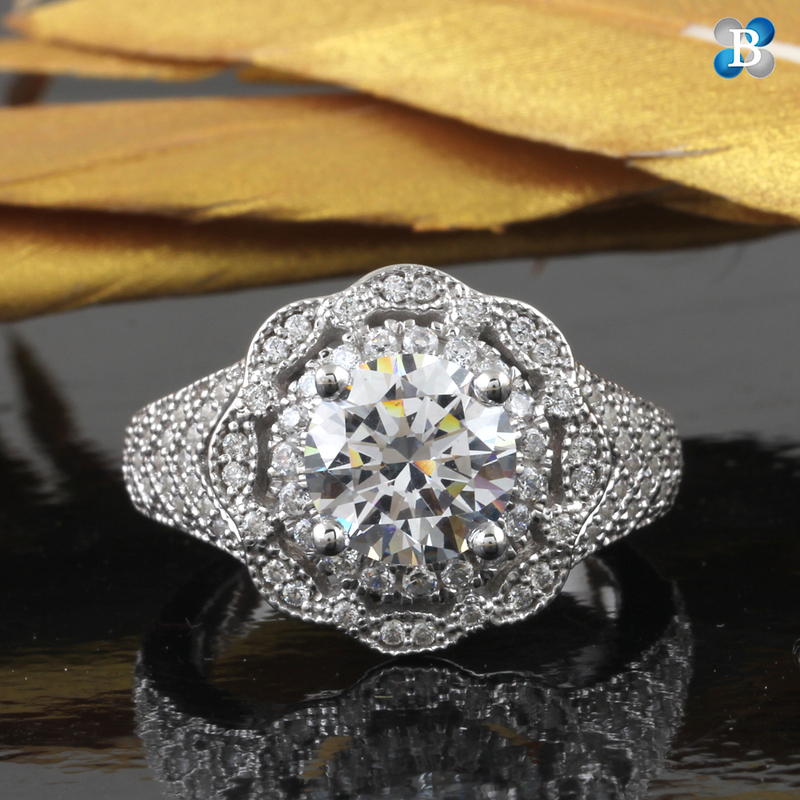 The oval diamond center gives this ring a sublime vintage look that fits just right in our legacy collection. Set in 14K white gold, the paisley elements in the halo and the miligrain edges are the remarkable details that complete the heartfelt and soulful design of this breathtaking Legacy engagement ring. In the end your perfect legacy collection needs to be a reflection of who you are. 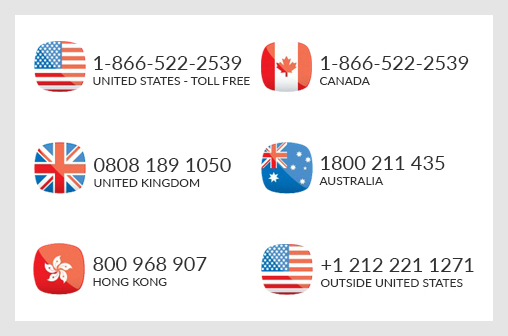 We hope you find just the right engagement ring!